Cool dad or slightly irresponsible dad? Aussie star, Chris Hemsworth, has spilled on the time he snuck his young daughter onto a ride at Disneyland that she definitely wasn’t quite ready for. 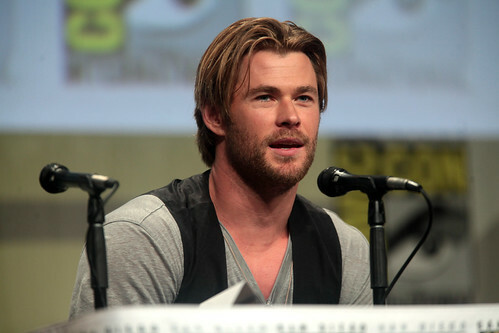 Hemsworth was promoting Avengers: Endgame on Jimmy Kimmel Live with his Avengers colleagues, Scarlett Johansson, Robert Downey Jr and Paul Rudd when he shared the story of the time his daughter, India Rose, was desperate to ride the Tower of Terror (now called Guardians of the Galaxy — Mission: Breakout) despite being too short to meet the ride’s height restrictions. Instead of admitting defeat and telling India she would have to wait until she was older, Chris devised a cunning (irresponsible?) plan to make sure she ended up on the ride. “She was really upset and I was like nah, forget this. Come here,” Chris said. Hemsworth admitted he managed to use a few chocolate bars to give India the height boost she needed. "I grabbed a couple of Snicker bars and slammed it in the back of her shoe under her heel," he said. Although India and her Dad managed to come out the experience psychically unscathed, Chris did also admit that maybe height restrictions do actually serve a purpose. "She's, like, screaming the whole way down."